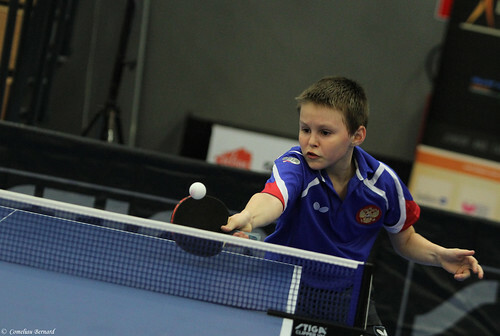 Sunday 23rd April saw the 2017 ITTF Belgium Junior and Cadet Open close out after five days of exhilarating action in Spa, and two players who will return home delighted with their performances on the final day of the event will be Olav Kosolosky and Amy Wang after they picked up the Cadet Boys' Singles and Cadet Girls' Singles trophies respectively. Olav Kosolosky and Nicolas Degros prevailed in their Cadet Boys’ Singles semi-finals encounters against Ireland’s Owen Cathcart (11-9, 5-11, 5-11, 12-10, 11-5) and India’s Himnakulhpuingheta Jeho (12-10, 8-11, 11-6, 11-3) to set up an exciting conclusion to the tournament. The home fans were treated to a wonderful finale in more than one respect, as not only were the two competitors fighting it out for the title representing Belgium but the match also went right down to the deciding game before a champion was eventually crowned. Taking the opening game Nicolas Degros established the early momentum in the match and looked to build upon his advantage moving forward, but back-to-back game wins for Olav Kosolosky turned the match on its head as the third seed took the lead. Nicolas Degros responded well and successfully captured game four with a positive display, however, it was not to be for the no.5 seed as Olav Kosolosky claimed the fifth end to seal the title (6-11, 11-7, 11-6, 7-11, 11-3). 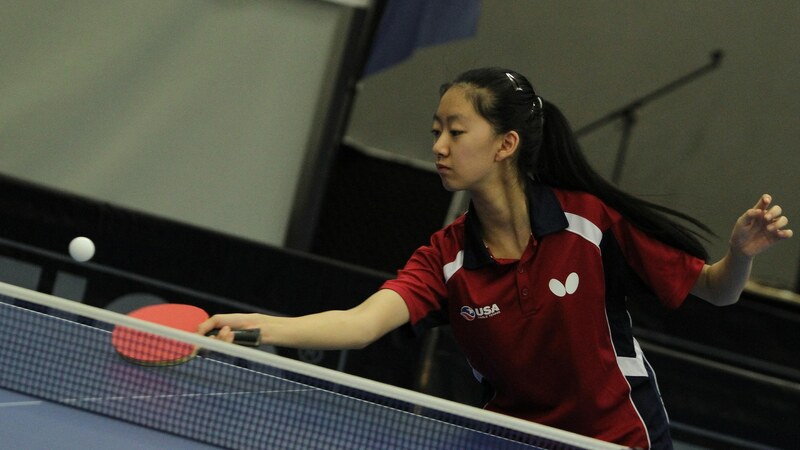 The Cadet Girls’ Singles final featured the top seed taking on the third seed as Amy Wang of the USA went up against India’s Diya Parag Chitale in the battle for the trophy. Diya Parag Chitale endured a tough path to the final and headed into the title decider having dropped five games across her three previous matches in the category, Amy Wang on the other hand had been in terrific form losing just the one game in the main draw which came about in her semi-finals encounter. Yet, despite Amy Wang arguably being heralded as the slight favourite to prevail it was Diya Parag Chitale who made the brighter start to the final as the Indian star claimed the opening end. However, Amy Wang stepped up her performance and with the next three consecutive games going in her favour the USA representative secured the silverware (8-11, 11-2, 11-9, 11-8).